I have been out of circulation! I was totally unprepared - blogwise. pull them together to be ready for scheduling. So, now that I am convalescing...I might as well get to it. other day I decided we needed some hot and hearty soup. I had what we needed to make my world famous chicken soup. but everyone in my family LOVES it. That's probably because it's the best chicken soup on the planet. About 1 1/2 to 2 lbs. Sometimes I use a whole cut up fryer...sometimes 3 or 4 leg quarters. The other day I had 3 large breasts in the freezer...so in they went. It's very important...commit it to memory. a happy dance in the grocery aisle when I found it. I wasn't feeling up to it, or I might have. The other important thing is Paprika. If you don't have any...don't attempt this soup. forever be sorry about omitting that one yummy red spice. And may even be ruined of chicken soup for life. Bear with me...I don't usually measure things when I make this soup. 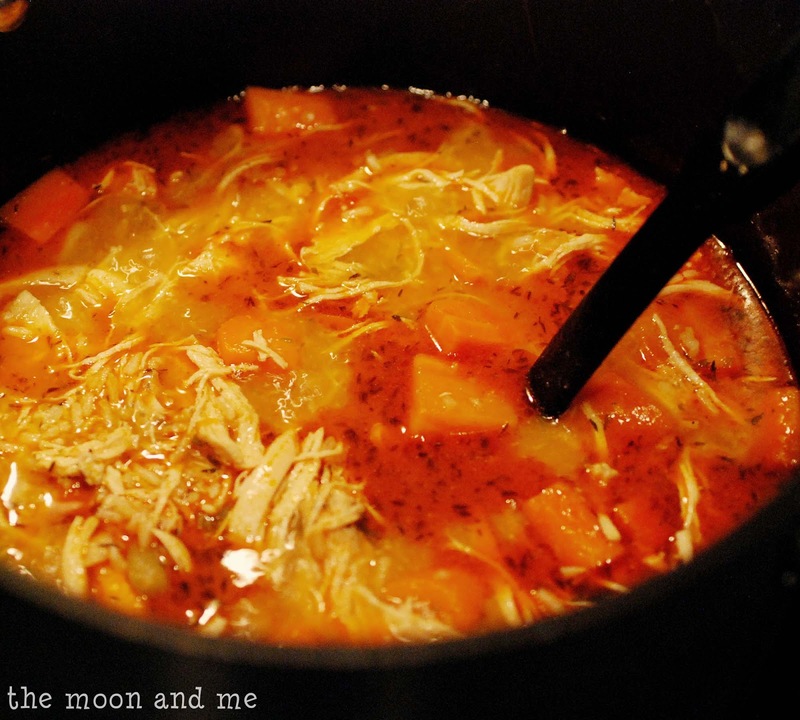 In a large pot, cook chicken pieces in 6 – 8 cups water. Also add bouillon, garlic, onion, salt and pepper, paprika, thyme, the bay leaf, and parsley. Cook for approximately an hour…until chicken is tender and falling apart. Remove chicken from soup mix and allow to cool slightly. DO NOT dump water…this is your soup base. Shred chicken and return to pot. 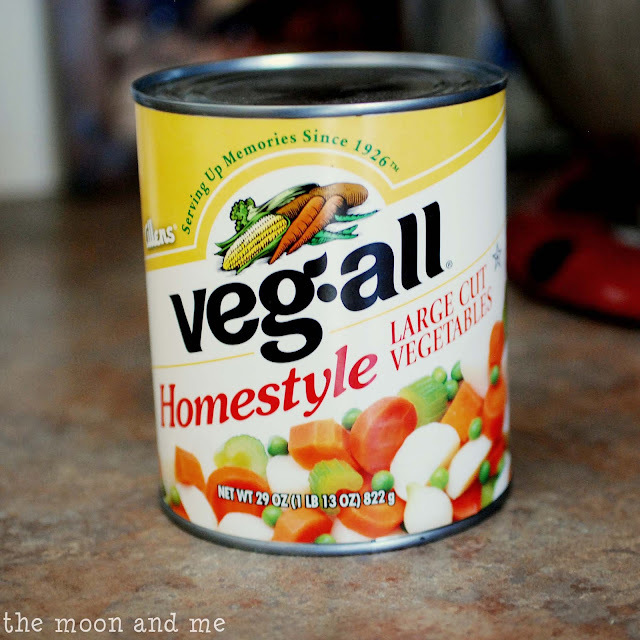 Add packet of vegetable soup mix, Veg-All, and rice. 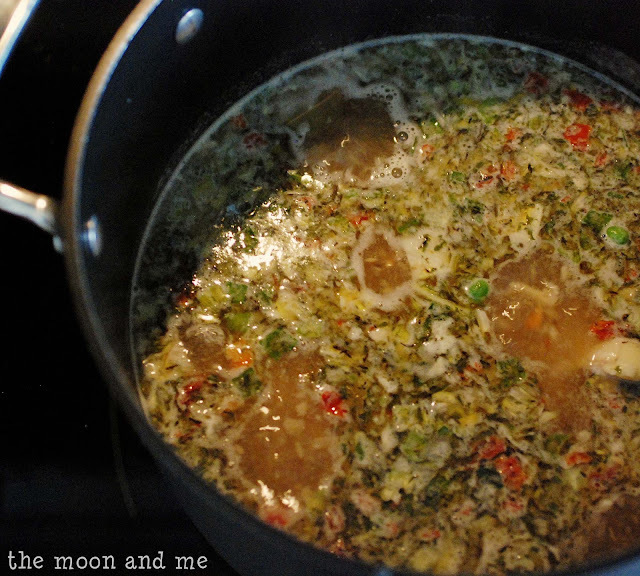 Bring to a boil, and simmer about 45 minutes until rice is tender…adding more water if needed. This soup is really thick, especially once it sits in the fridge overnight. But it is OH SO GOOD! I recommend sampling as you go in case you need to add more flavor. But don't burn your tongue like I did. 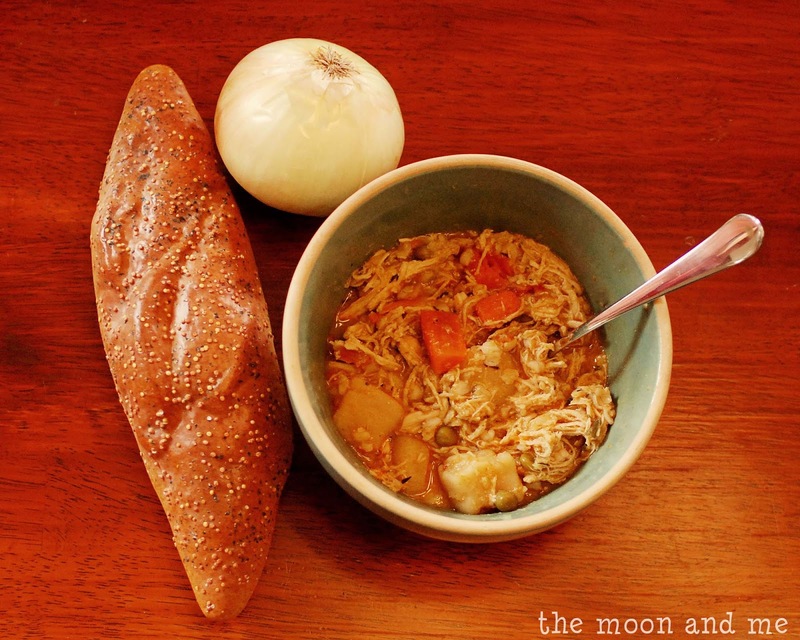 I hope you enjoy this fabulous cold weather soup. 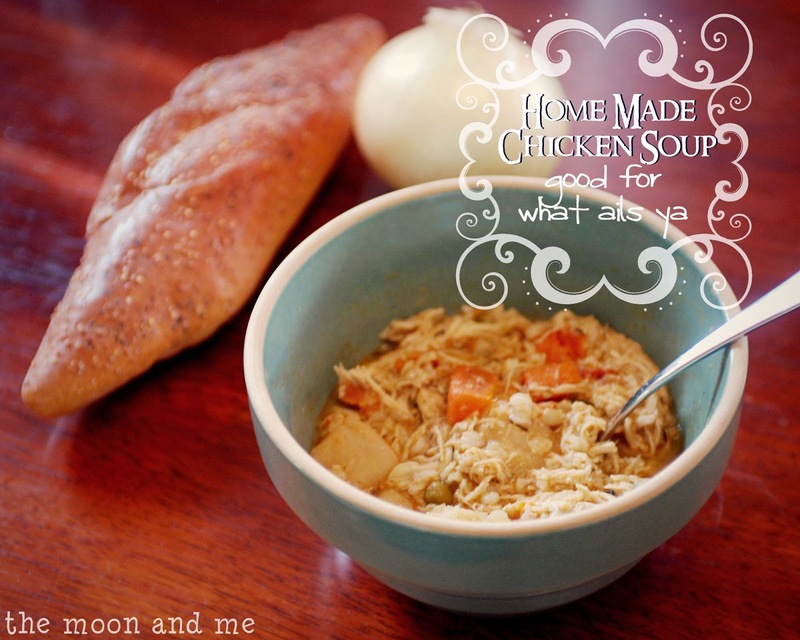 I am all about the soups lately so I will be copying yours because it looks wonderful!!! Thanks for sharing this one!!! Great soup recipe. We have a link party called Wednesdays Adorned From Above Blog Hop and would love to have you share this and any other posts with everyone. It runs from Tuesday night through midnight Sunday. Here is the link to the party.